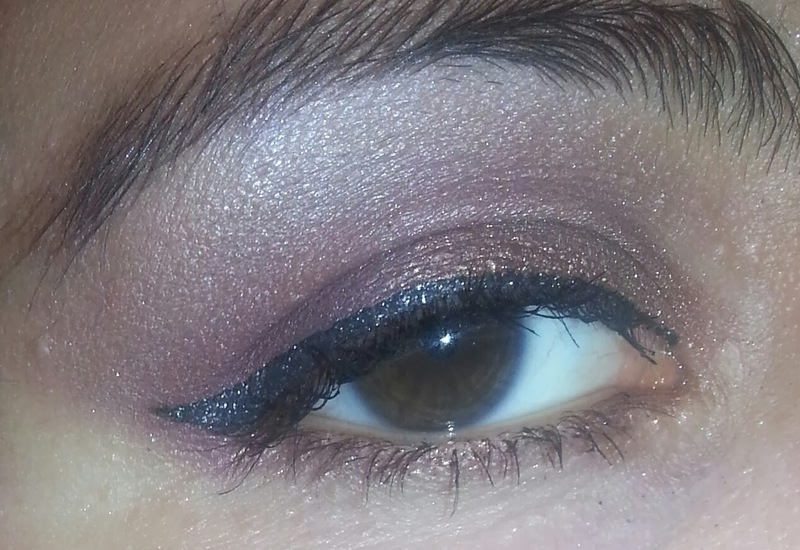 Here's a quick post on some looks that I did this week featuring the e.l.f. Geometric Holiday Palette. It's my new favorite palette and includes 150 eyeshadows!! To see all of the colors in the palette, click here. Now that I'm finally done with college finals, I can start playing around with this some more. 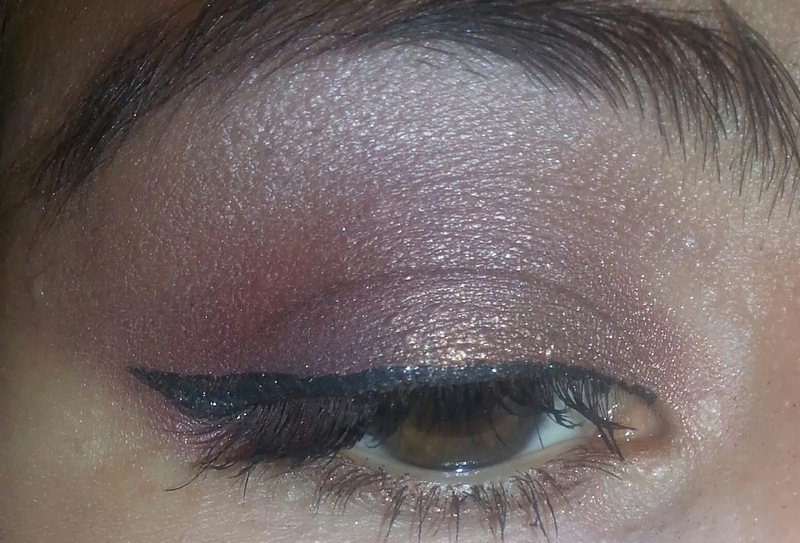 There are two looks that I created with this so far that I wanted to share with you guys. 1) Prime eyes with @officialelfcosmetics Eyelid Primer. 2) Apply @nyxcosmetics Jumbo Eye Pencil in Milk over the entire eyelid as a base. 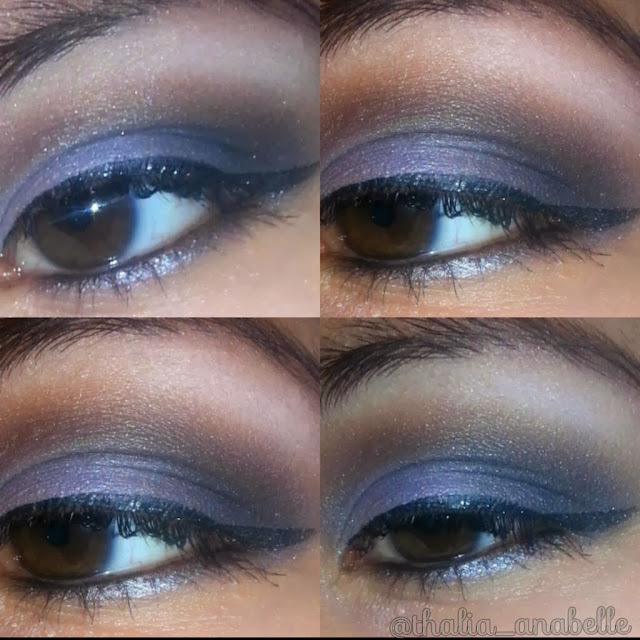 3) Sweep a dark purple eyeshadow from the e.l.f. 150 piece Geometric Palette onto the lid. 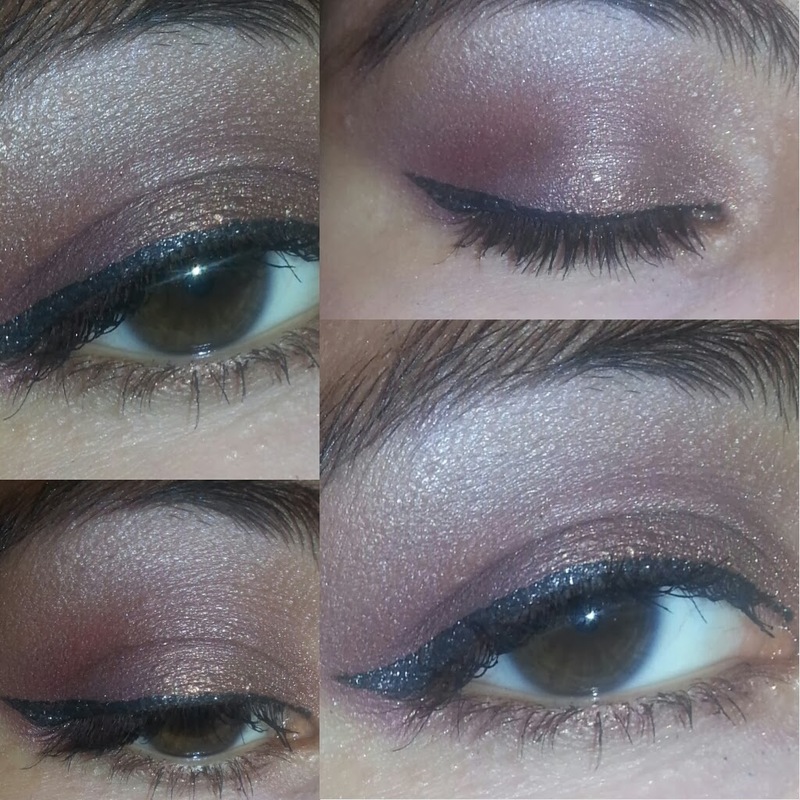 4) Blend a black shadow from the palette into the outer V.
5)Add a shimmery brown shadow into the crease. 6)Apply a white shadow on the brow bone as a highlight. 7)Line the upper lashes with NYX Glam (liquid) Liner in black and line the waterline with a pencil eyeliner. 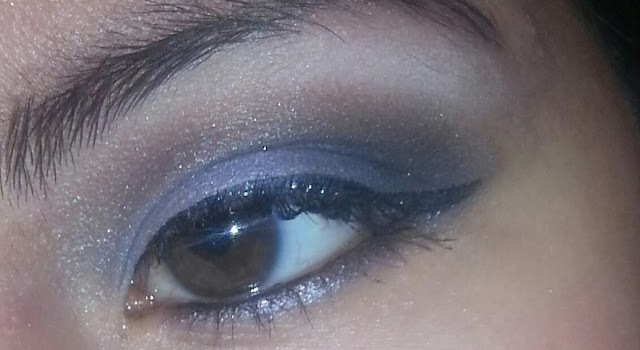 8) Add a silver shadow and smudge onto the lower lashline. 9) Finish with @lorealparisusa Lash Out Butterfly mascara. I think that this is a really great look if you want to go more natural and just add a hint of shimmer and a subtle pop of color on the eyelids. Those shadows are really pretty and shimmery - much moreso than I expected! Hi! I'm Thalia, a 23-year-old Latina blogger and beauty junkie. I love helping people feel good about themselves while saving some cash along the way. That's why on this blog you will find where the killer sales are, product reviews and tutorials on how to use on the best beauty products for your budget. Feel free to reach out to me by email at thriftybelleza@gmail.com. Thanks for stopping by!